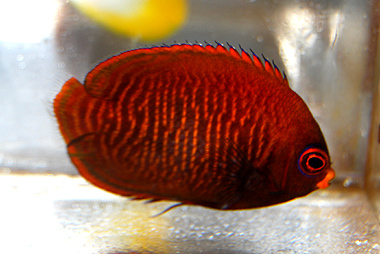 These angels usually do very well in reef tanks as they’re usually smaller in size and don’t grow very large; they do tend to nip at corals, so keep an eye on your reef and adjust accordingly. In most cases the fish will not damage these corals, but rather just irritate them. Because of the small size, most can be kept in reef tanks as small as 30-55 gal tanks, but they do require hiding spaces. They do very well with the larger angels and usually can be mixed very easily. They also do very well in FOWLR tanks and get along with most other fish.